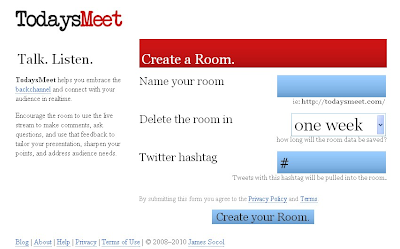 TodaysMeet is a free service that allows you to create a back channel for your meeting, class, or presentation. 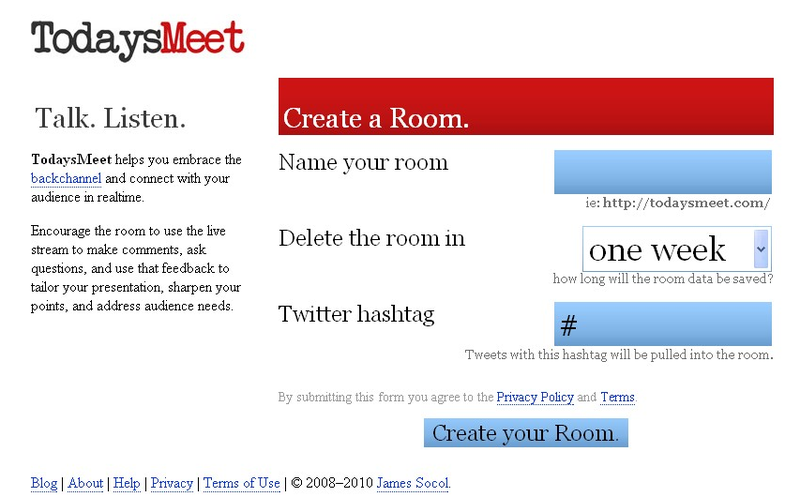 You name it, create the hash tag (for Twitter) and select how long you want it to be kept before being deleted, and you are all set. Back channels are a way for students, meeting participants, or the audience in a presentation to post comments, questions, and discussions during the class, meeting, or presentation. They are becoming more and more popular. They can also be used to gather information and data from an audience.